This notebook-sized workbook/reader offers illuminating classic and contemporary readings that provide additional information on, and insight into, the basic concepts covered in Ottenheimer's text. Exercises and guided projects provide numerous opportunities for you to develop and hone your skills. A series of exercises drawn from a single language is designed to show you the interconnectedness of different levels of analysis. 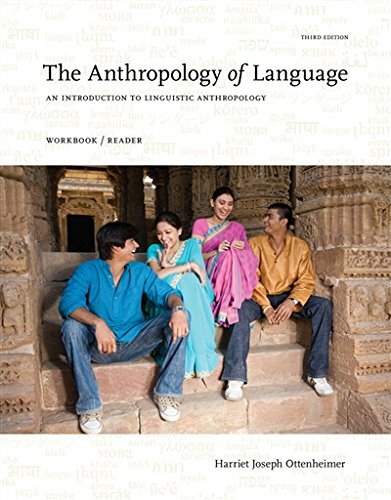 Web exercise sections conclude with pointers to the Anthropology CourseMate website, where you will find glossary flashcards, interactive exercises, links to relevant additional websites, study questions, and key words to guide you as you study. Furthermore, the book's pages are perforated, allowing you to easily remove specific exercises and submit them to your instructor. If you have any questions about this product by Ottenheimer, Harriet Joseph, contact us by completing and submitting the form below. If you are looking for a specif part number, please include it with your message.